An internal twin wall insulated flue system goes straight up from the stove, through any floors and/or ceilings in the house and then through the roof. Where the flue goes through the roof a flashing keeps everything watertight. We use Eco ICID twin wall flue, usually either 5 or 6″ diameter, dependent upon the stove. 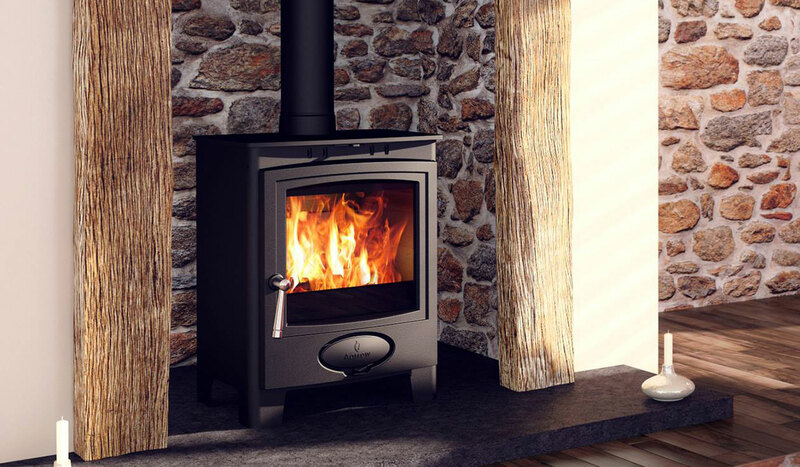 The flue can be supplied in either stainless steel or matt black depending on your preference.